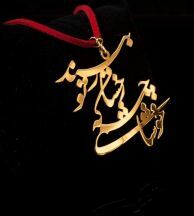 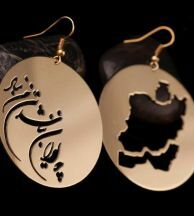 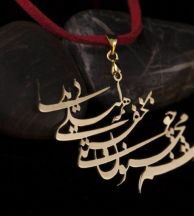 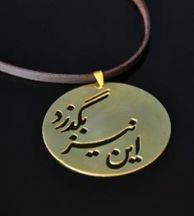 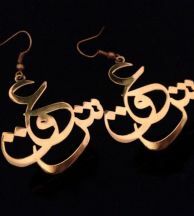 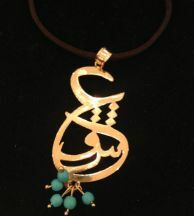 Persian calligraphy pendant made with brass. 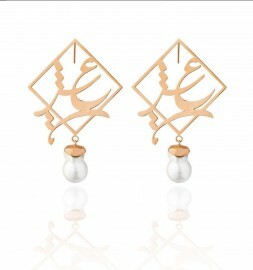 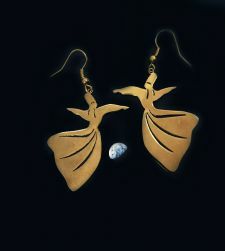 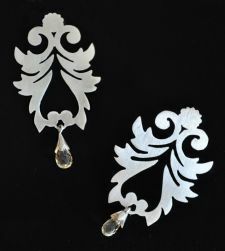 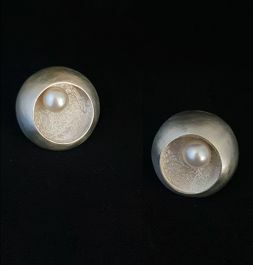 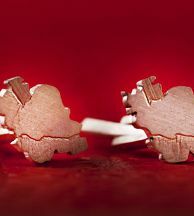 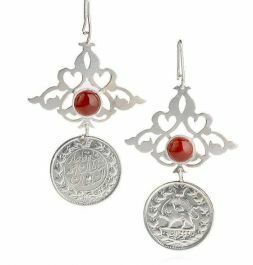 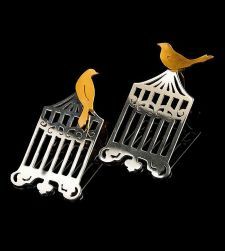 The earrings are about 2.5 inches in size. 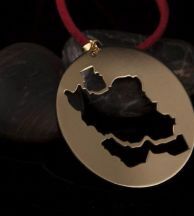 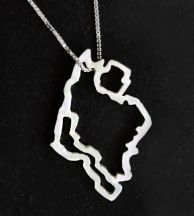 The piece is on sale due to a minor imperfection. 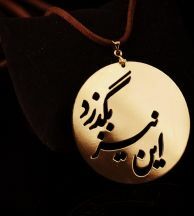 It does not include a chain or leather strap.